With a snowy winter unseen for several years in Park City – the 2018-19 ski season could be in position to set some records. KPCW’s Leslie Thatcher has more. Deer Valley Resort is reporting a 10-15% increase in visitation this winter and while this is the first year that the resort has been part of the nationwide IKON pass, Marketing Director Collen Reardon says some of that growth has to do with snowfall, which is expected to hit the 300 inch mark this week. Snow always makes a difference and even though there are great snow conditions in other markets, Malone says they’re still seeing visitors arrive from Park City’s stronghold markets– Southern California. New York, and surprisingly San Francisco – even though the Tahoe resorts are buried in snow this winter. This year, Park City will quickly shift to its growing business meeting season. “In fact, we have a group coming in on April 10th of about 250 people. It’s a Global Meetings and Incentives Travel Conference that’s coming with 250 people on April 10th – 13th, and this is immediately after the ski season is over. And here we are, turning on the volume in terms of meeting business. Park City Chamber Bureau CEO Bill Malone. He says they’re also seeing a lot of business this winter from Boston and Washington DC as well. In winter’s favorite town, the more snow, the better for business. 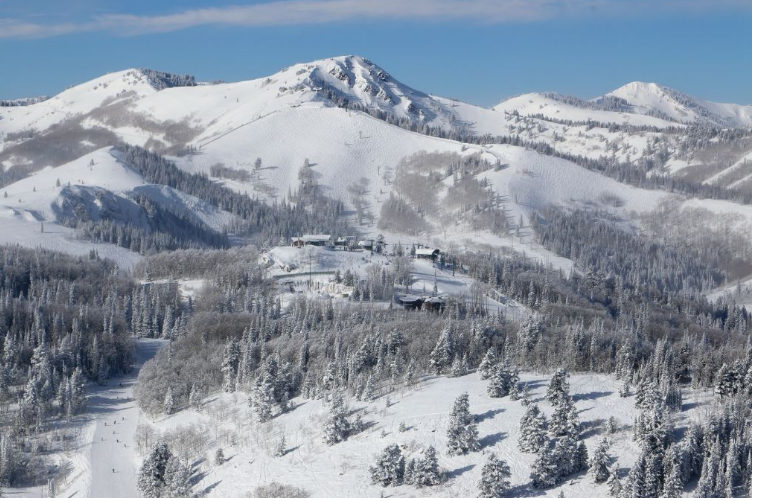 How has this winter’s weather affected skiing and hotel stays in Park City? So far this ski season, Park City resorts have received 275 inches of snow. That’s 75 inches more than the entire 2017-18 season, and there are still six weeks left until closing day. 2018 saw a record number of overnight group bookings in Park City hotels, according to the Park City Chamber/Bureau. And what kind of legislation will the Chamber be keeping an eye on during the 2019 legislative session? KPCW’s Emily Means has more. On today’s program, President and CEO of Park City Chamber Bureau Bill Malone discusses some of the legislative issues he's watching and what could be a record-breaking ski season. Utah Open Lands Director Wendy Fisher has an update on raising the last $1.4 million for Snow Ranch Pastures as well as what's next to put a conservation easement in place of Bonanza Flat and Chris Barkey with the Utah Stream Access Coalition has details about tomorrow's Fly Fishing Film Tour.